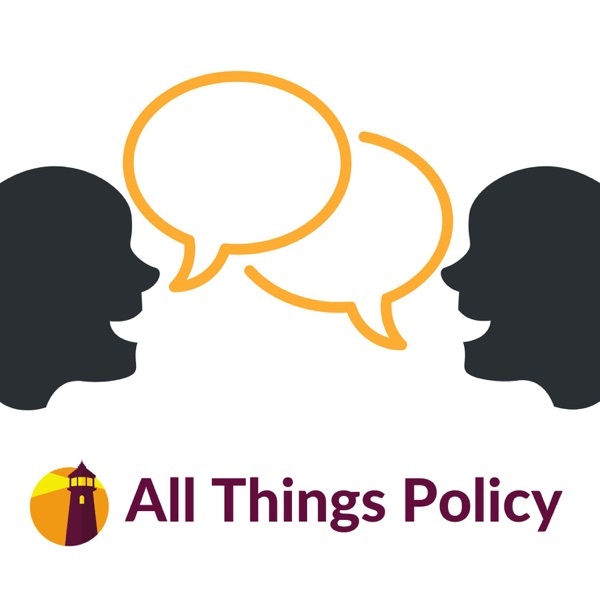 All Things Policy | Listen Free on Castbox. In Israel last week, a team of scientists created the first functioning 3D-printed artificial heart made of biological materials. This is potentially a huge leap forward for synthetic biology - and perhaps even a step towards the ever-elusive quest for human immortality. But what is synthetic biology in the first place? What are the implications of this development for society and the economy? Shambhavi Naik and Anirudh Kanisetti join Yazad Jal for a hearty conversation full of science fiction and cheesy puns in this episode of All Things Policy. We at the Takshashila Institution change our minds when presented with better arguments. In today's episode Pranay Kotasthane and Aditya Ramanathan talk to host Shambhavi Naik about papers and books that made them reconsider old assumptions. In a freewheeling discussion, they look at whether reducing poverty might increase the risk of terrorism, why sponsoring nuclear terrorists is too perilous a gambit for any state, and how we should think about linguistic states in India. Why do migrants return home? What makes people make the arduous shift back after settling in a new place? Three migrants who returned home to India: Nidhi Gupta, Yazad Jal and Shambhavi Naik discuss these issues in light of Oded Stark's article "Behavior in reverse: reasons for return migration." Listen in for both personal and policy insights into migration, a vexing topic in today's global discourse. Last week's Arctic conference saw the unveiling of an ambitious Russian plan to expand its military presence in the region, including a larger fleet of nuclear icebreakers. Why are countries expressing so much interest in the Arctic and what does it mean for the future of geopolitics there? Aditya Ramanathan and Anirudh Kanisetti join Shambhavi Naik to discuss. In the first episode of our relaunched podcast, All Things Policy, Lt Gen Prakash Menon and Pranay Kotasthane join host Yazad Jal to discuss how India's leading political parties deal with national security issues. Shambhavi Naik, Yazad Jal and Anirudh Kanisetti discuss the contentious issue of germline gene editing.Eminent scientists have called for a five year moratorium on clinical applications of germline (concerning reproductive cells) gene editing. Such a move will reduce funding and transnational research in congential diseases. In this episode, they discuss how proposing stringent safety standards would be more effective than an outright ban. The recent EU-China summit has resulted in unprecedented concessions from China that could have long-lasting implications for the global economy. What are they? Is this a watershed in relations between the PRC and the West? Manoj Kewalramani joins Yazad Jal and Anupam Manur to discuss. this podcast is not available.